I like the color scheme in this kitchen, do you like the island / breakfast bar and the dark chandelier? I love this double-height bedroom with wonderful brick walls. Thoughts on the art and other decoratons? 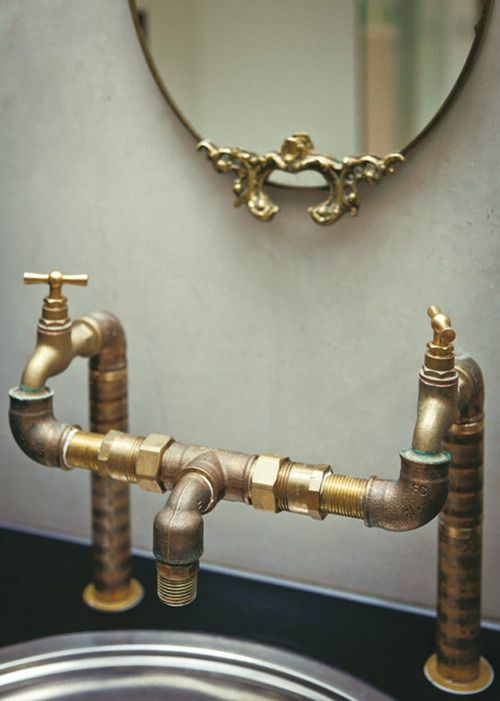 Do you like the style of this pipe faucet together with the more refined mirror? 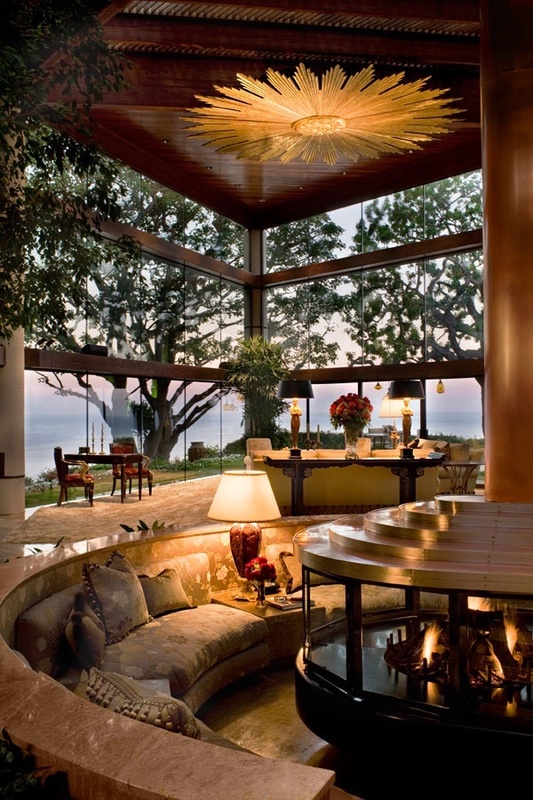 I really love the double height ceiling with the glass walls, the circular seating arrangement surrounding the fireplace looks very elegant. 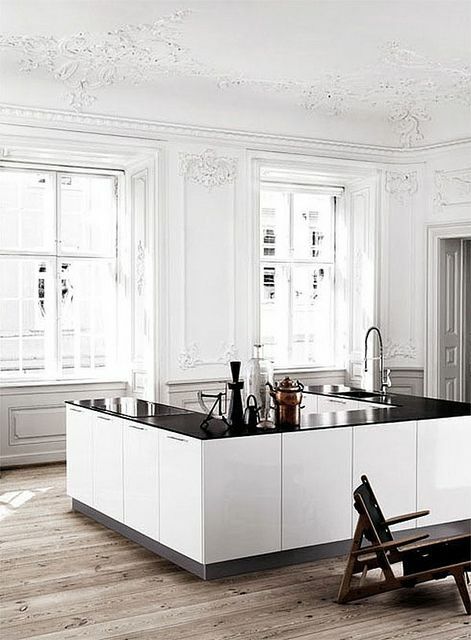 What are your thoughts on this black and white kitchen in the centre of the room? 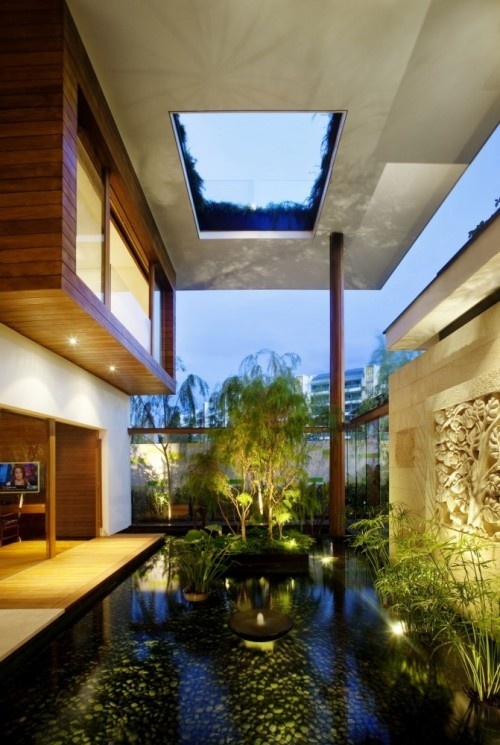 I love the feel of this courtyard, the water and lighting are perfect. 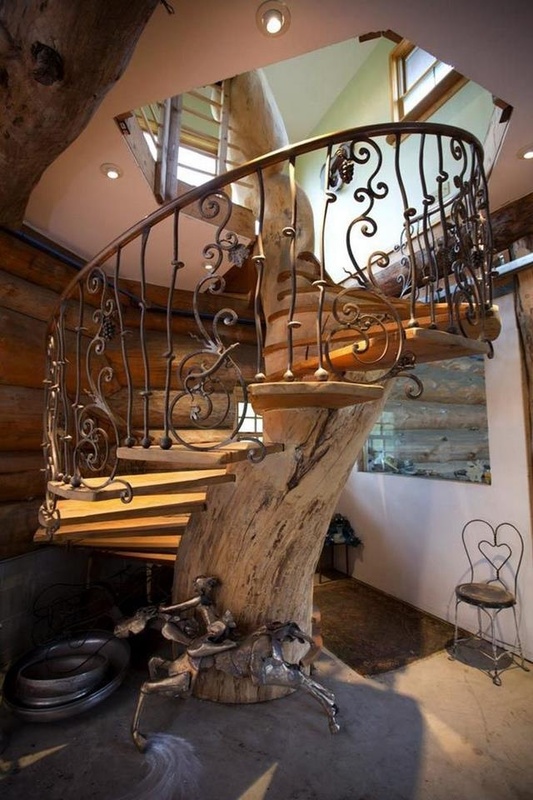 Thoughts on this spiral tree staircase. This stylish dining space is on the second floor of a home in Valencia. 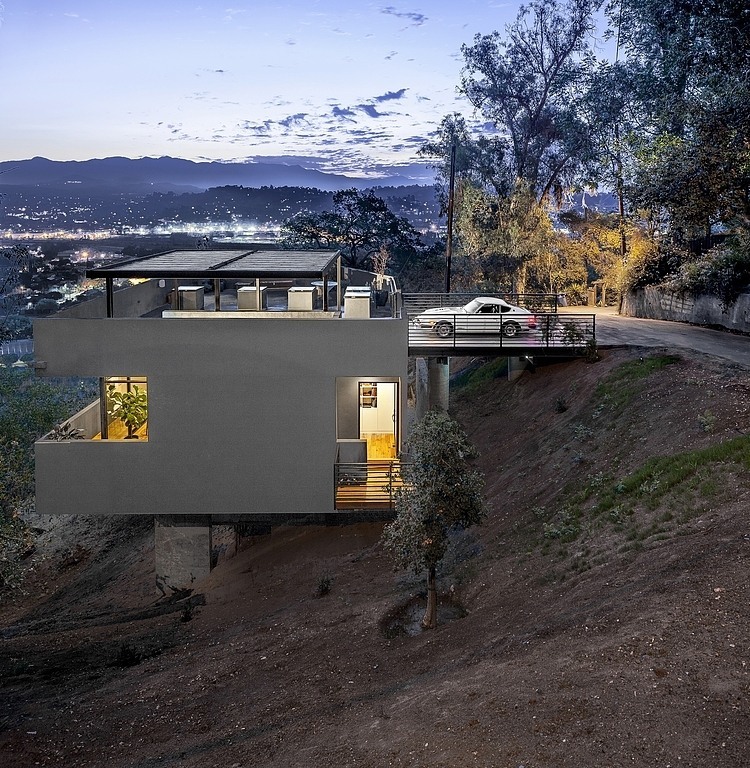 What do you like about this space – fireplace, lighting, dining table?